Radishes and navy beans, pumpkins and garlic sausage….what French kids are eating for school lunch this week! This week we’re in Roquefort-la-Bedoule, a small village (population 5000) in Provence (not far from Cassis and Marseilles). Its motto is: ‘a village, grapevines, and hills’–which pretty much sums up the essence of the agricultural economy here, in which wine-making (in this case, Côtes de Provence) has been the core of village life for centuries. 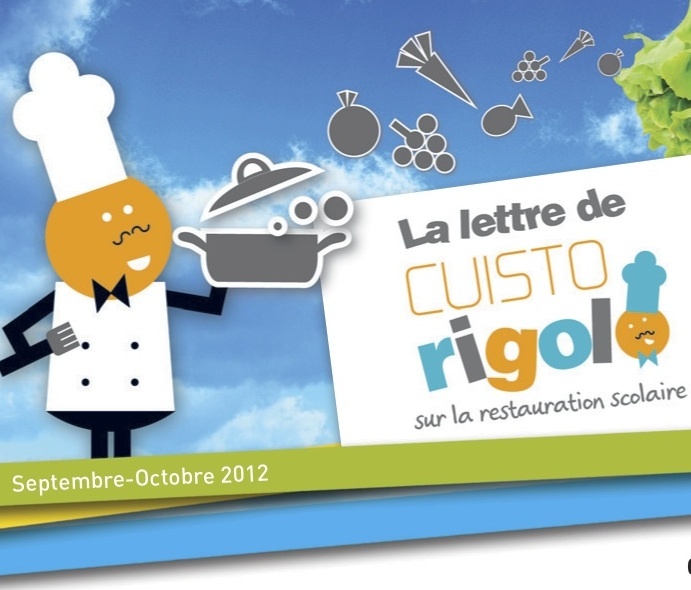 So, what are French kids eating this week for school lunch? 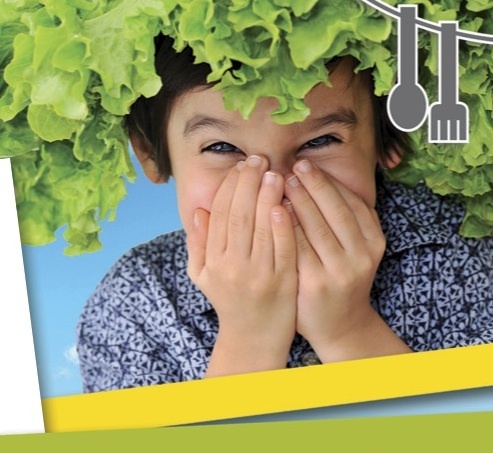 The menus are provided to parents in a glossy brochure that provides a breakdown of daily menus, advice on breakfast, and ideas for dinners to serve (featuring local ingredients) throughout the month. Even if you can’t read French, take a look: it will give you an idea of how seriously they take their food! Another interesting point: the kids get two types of cheese (or yogurt) at each meal. This is how they get their dairy–rather than drinking milk. Note: just like everywhere in France, these meals are locally funded (as is that glossy brochure). There are no national subsidies. Parents pay on a sliding scale (proportional to income), and the Town Hall subsidizes meals for kids who can’t pay. So everyone who eats at school (and most kids do) get the same tasty, nutritious lunch. In case you’re wondering about the caloric contents of these meals, lunch is the main meal of the day in France – at least 40% of kids’ daily caloric intake. Breakfast is quite a light meal in France. And the French know that eating a little fat with each meal increases your ‘satiety’ (fullness feeling) — so that you don’t feel hungry for a longer period of time. After lunch, kids will wait until 4:30 pm for their afternoon snack (the only snack of the day). So it’s important that lunch is a satisfying meal. I don’t know about you, but many of these menus sound better than what I had for lunch at work last week! Makes me so sad that we treat school lunch like a chore here. My son gets 20 minutes to eat then 40 minutes to play! Wrong! I pack his lunch with time efficiency in mind. Just makes me sad that food is treated as such – why not just go to the drive thru at this point?